← Special Fleer Dubble Bubble Halloween Pack from 1976! For today’s contemporary entry in our confectionery Countdown to Halloween, I’m excited to present a piece I picked up last year, and one I had to go to some lengths to acquire. You see, this wasn’t something I was able to pick up at one of my local retailers. In fact, I had to order these from a UK store, have them delivered to a friend in England, and then have that friend mail them to me here. 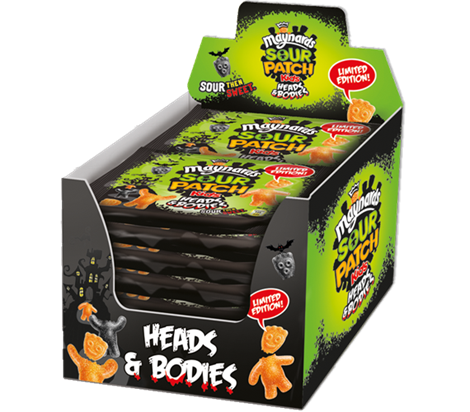 Today, I’m excited to present the decidedly-gruesome UK Limited Edition Halloween release from Maynards: Sour Patch Kids – Heads & Bodies!!! 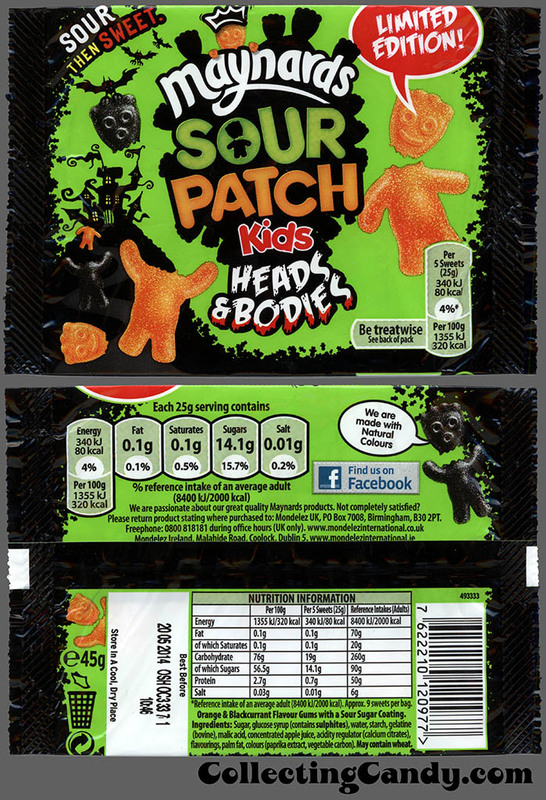 I don’t recall where I first heard about Sour Patch Kids Heads & Bodies but when I did, I knew I had to track them down. 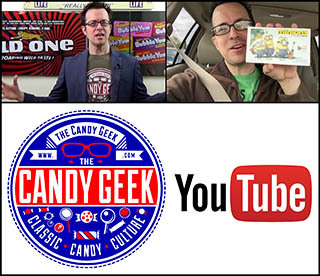 My first call was to the UK branch office of CollectingCandy.com (located in Norwich, England), where my good friends Liz and Jonny have been invaluable in tracking down so many of the British confectionery treasures I seek. Yet in spite of some furious searching, their hunts came up empty as they couldn’t find a single one of these decapitated delights. So it was off to AmazonUK, where I was able to finally order some – though I could only have them delivered to a United Kingdom address. So off to Norwich they went, and from there they were packaged up once again and sent across the ocean to me here. 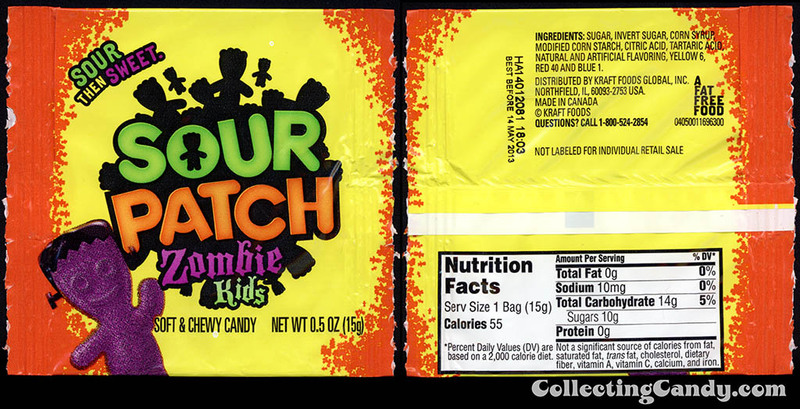 A limited edition release for the 2013 Halloween season, I assumed these might return this year. Yet after a bit of cursory searching online it doesn’t appear as if they’re available this time around, so they may end up being a truly limited edition after all. 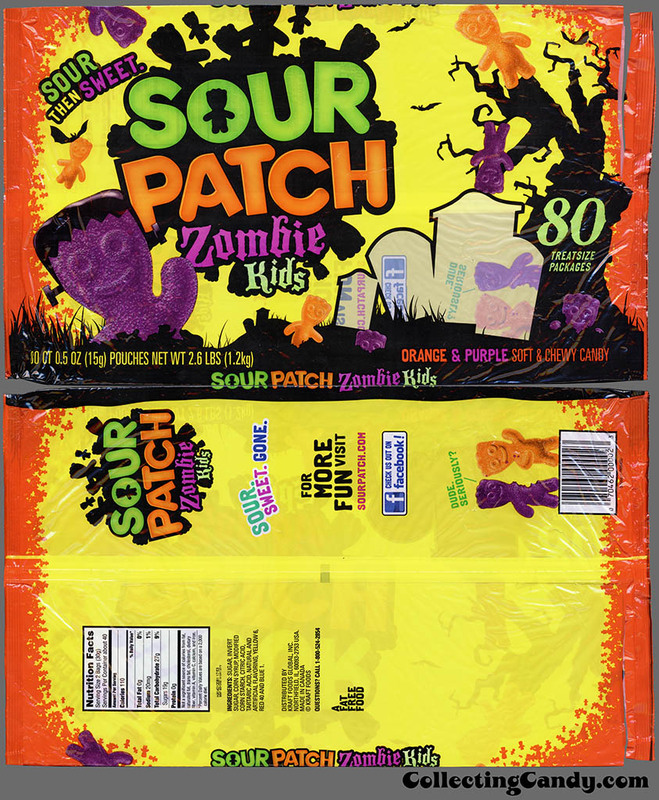 And that’s everything I’ve got to share today on Sour Patch Kids Heads & Bodies as well as their Zombie-related Sour Patch brethren. See you next time! 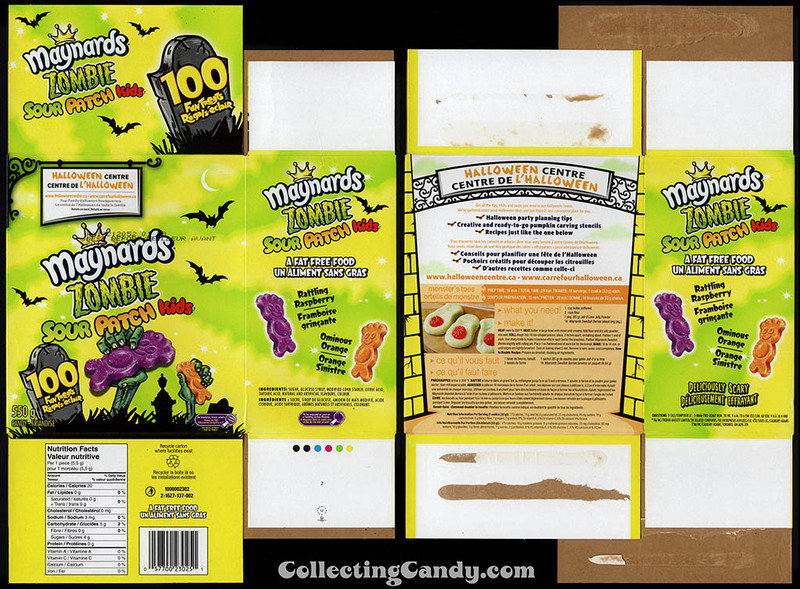 This entry was posted in British, CountdownToHalloween, Gummies, Halloween, Sour Candy and tagged candy collecting, candy collection, candy collector, candy wrapper collection, candy wrapper collector, collectible, collecting candy, confectionery, confections, England, gruesome, Halloween, Halloween candy, limited edition, packaging, seasonal candy, Sour Patch, Sour Patch Kids, sweets, UK, United Kingdom, vintage candy wrapper, wrapper, zombies. Bookmark the permalink.